The Americans are rejoicing that the man behind the September 11 terror attacks is eventually dead. It is a shot in the arm for US President Barack Obama and boosts his ratings in the run up to re-election for president, for which he has announced his candidature. The Indians are thumping the desks as if to say: we told you that Pakistan supports terror! They will now plead with the world to pressurise Pakistan to dismantle its terror network and stop using terror as an instrument of state policy against India. The Indian government is unwilling to fight her own battles but will now equate 9/11 with her own 26/11 attacks on Mumbai and ask Pakistan to convict/extradite those responsible for the Mumbai attacks. 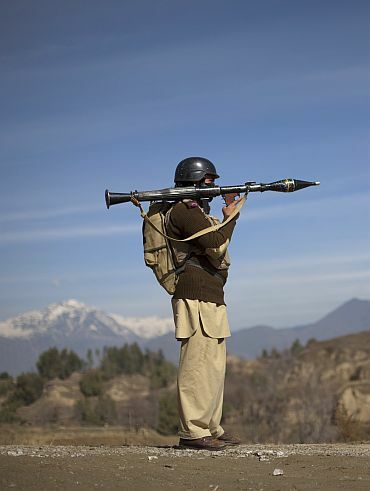 The Pakistani army and government are unusually quiet. They are eagerly waiting for the US to quit Afghanistan. Sections of the Indian media shall keep on debating whether the US killed Osama bin Laden with or without Pakistani support. Questions shall be raised how the Pakistani army could not be aware that Osama lived in Abbottabad, a military cantonment which is about hour's drive from Islamabad. We shall not know what exactly transpired between the US and Pakistan but here is a possible scenario. Obama had publicly declared that American troops would begin to leave Afghanistan by July 2011. At the end of ten years, billions of dollars spent and hundreds of soldiers dead, the President would have had no results to show his people. On the other hand, the Pakistanis have managed to strike a balance between the conflicting demands of the US and, former allies, the Taliban. 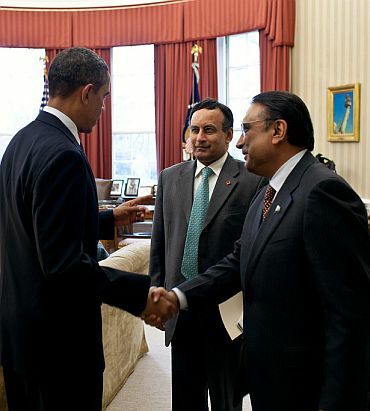 However, the US was getting impatient so the Pakistanis were under pressure. Another cause for concern was archrival India's good work in Afghanistan. Sooner or later it would result in a pro-Indian (read as anti-Pakistani) sentiment amongst the Afghan people. The US wanted Osama while the Pakistani's wanted to regain strategic depth in Afghanistan. So there could be a deal. Pakistan would assist the US in tracking down Osama (probably they always knew where he was). American helicopters could not have used Pakistani airspace without its knowledge. 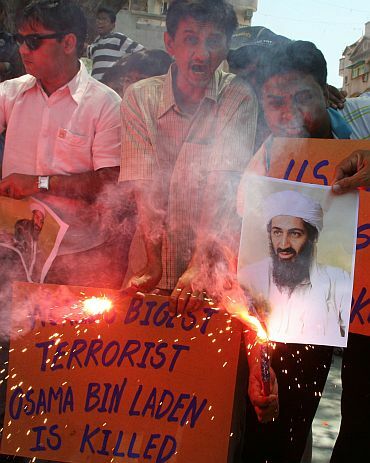 To avoid a backlash from the Pakistani people and Taliban it was agreed that Osama would be killed by American forces. The Pakistani army and government would remain silent and claim to be ignorant. In return the US would allow Pakistan to regain strategic depth in Afghanistan as long as it resulted in no further attacks on US soil. By getting the prize scalp of Osama Bin Laden, Obama would see his ratings leapfrog. 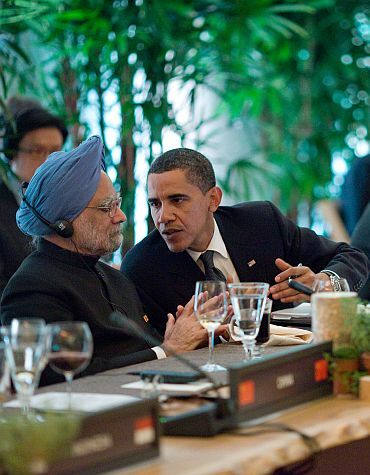 He would now be seen as a 'man in charge' who can put the US on the high growth trajectory once again. The Pakistanis would have the Americans off their back. More importantly, a friendly regime in Afghanistan would allow them to focus on India and resume jihad in Jammu and Kashmir/rest of India. These objectives were important enough to make Pakistan sacrifice Osama. Note that 'Op Topac' was launched in J&K in the late 1980's only after the Soviets left Afghanistan and Pakistanis achieved nuclear capability (today it is believed to have the fastest growing nuclear arsenal in the world). Further, an arrangement to tap Afghanistan's natural resources might have been reached between the US, China and Pakistan. It would torpedo the plans of a consortium of Indian steel companies who are keen to bid for the iron ore mines there. 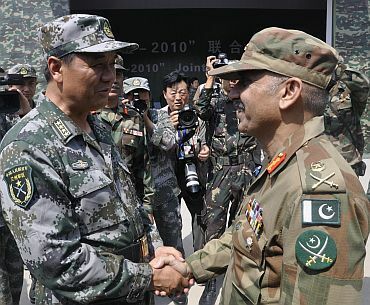 It would be safe to assume that Pakistani actions take into account gains for China who would like to fill the strategic vacuum after US' exit. Also geo-politically, Afghanistan becomes strategically significant for China as China has developed sizeable strategic stakes in Pakistan, Iran and the Central Asian Republics. A win win situation for all except India! Prime Minister Manmohan Singh might gloat over the Indo-US nuclear deal and unilateral concessions to Pakistan but the US is guided by only one principle -- its own national interest. Notwithstanding, "the UPA government letter to US Undersecretary of State William Burns on September 10, 2008 committing India to import a minimum of 10,000 mw of nuclear-generating capacity from the U.S" homeland security is uppermost in American minds. Its importance overrides business deals and jobs. Unlike the 1990's and 2001, where terrorism in J&K was an area of focus, the Indian Army would have to also deal with an aggressive Chinese presence in PoK, Akshai Chin, Uttaranchal, Sikkim and Arunachal Pradesh. An unstable and unfriendly Nepal could add to the challenge. We hope the forces are prepared to fight a simultaneous war on various fronts, not as what former Army Chief V P Malik said during Kargil, "We will fight with whatever we have". India must focus on how to counter the Chinese threat, directly and through its pawn, Pakistan. Weakening and killing of domestic industry (as China has done to the US) or illegal Chinese manufacturers faking drugs that undermine Indian brands should also be construed as an indirect act of war even it sounds farfetched. India must continue good work in Afghanistan and resist US pressure to scale down its efforts. Use the visit of Bollywood stars to strengthen bonds with the ordinary Afghan. The media could help by analysing threats objectively without being jingoistic. 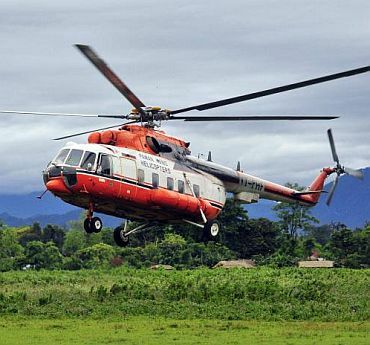 For example has any television channel or paper explored the possibility of the helicopter that carried Arunachal Pradesh chief minister Dorjee Khandu, being sabotaged by Chinese agents! After all Khandu, the only Buddhist chief minister in India is a follower of the Tibetan leader Dalai Lama who visited Tawang on Khandu's invitation in 2009. China had expressed its objections to the visit. The government and sections of the media are obsessed with Pakistan but will do well to focus on threats in the north-east. National Security is paramount. Indira Gandhi showed India the way in 1971 and KPS Gill in Punjab in the 1990's. We need a strong and decisive leader to safeguard India's national interest.